ISTVS regrets the passing of Robert Wismer, long-time member of ISTVS and president from 1987–1990. He was an effective link between our Society and industry. He was also the recipient of the ISTVS Bekker-Reece-Radforth award in 2005 (link). Our heartfelt condolences go out to his family. 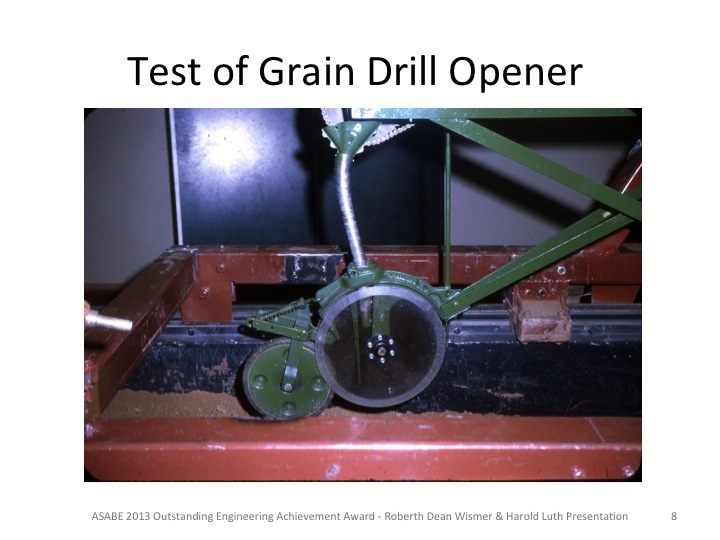 Bob Wismer and Harold Luth were the recipients of the 2013 Outstanding Engineering Achievement Award for their pioneering work in applying soil dynamics technology to the development of agricultural and industrial machinery. Bob and Harold began their careers at Deere’s Engineering Research Department developing a soil bin test facility whose descendant is still in use today. This facility was the first soil dynamics laboratory in an agricultural equipment manufacturing company. 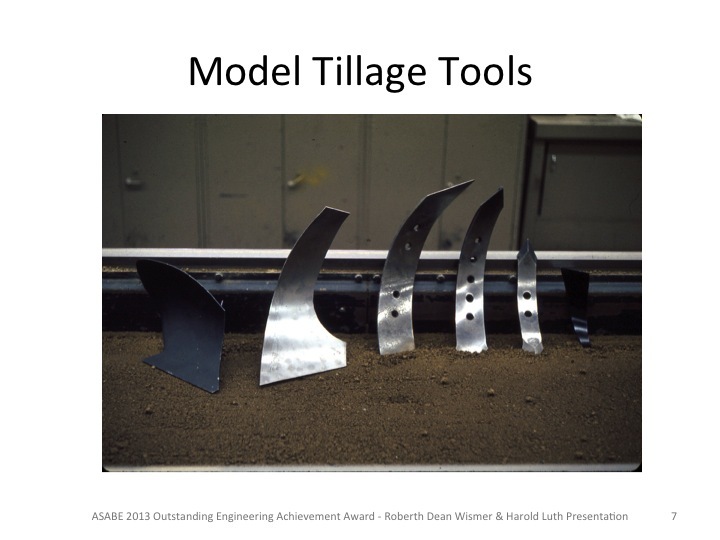 Their work in the soil bin incorporating similitude principles was used in the development of numerous soil engaging machines including tillage tools and the innovative and highly successful Deere MaxEmerge planter. 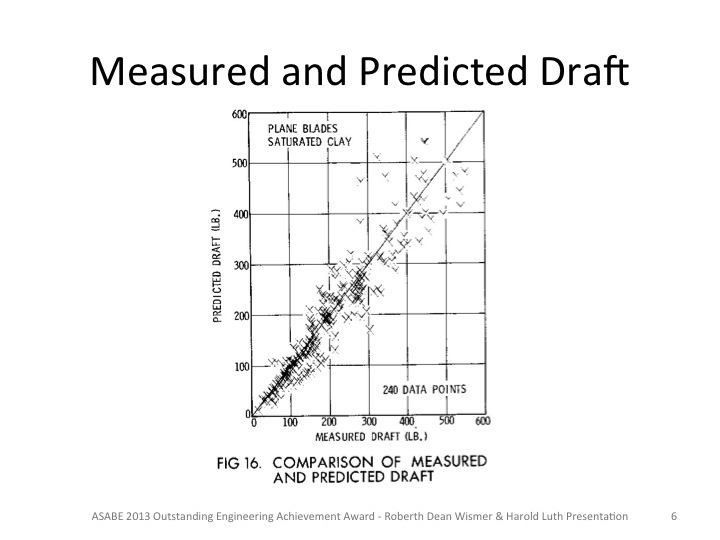 They conducted a series of basic studies of soil cutting systems utilizing the soil bin facility including the performance of plane blades in sand and clay considering rate effects. This work was shared with the outside world in a series of papers that are still referenced today in fundamental studies of soil cutting. 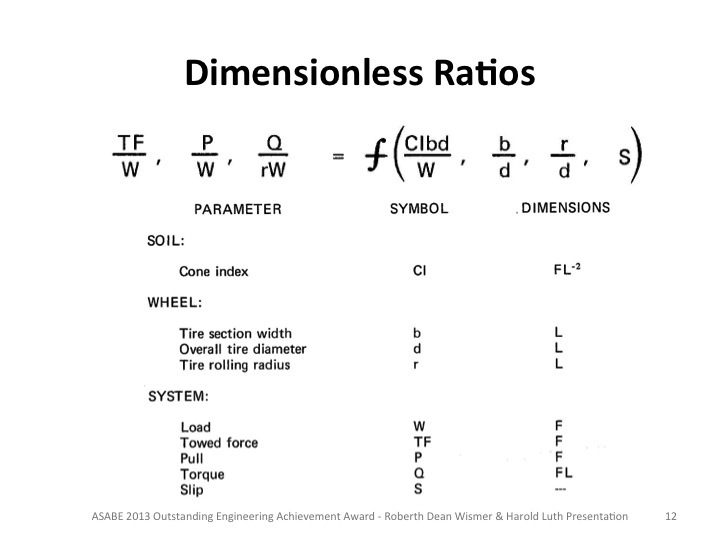 In the early days of applying modeling and simulation technology to off-road equipment design, they developed off-road traction prediction equations that were used within Deere for an early vehicle productivity simulation and a tractor performance model. Later these equations (termed the Wismer-Luth equations) were also published and have been widely used throughout the world. 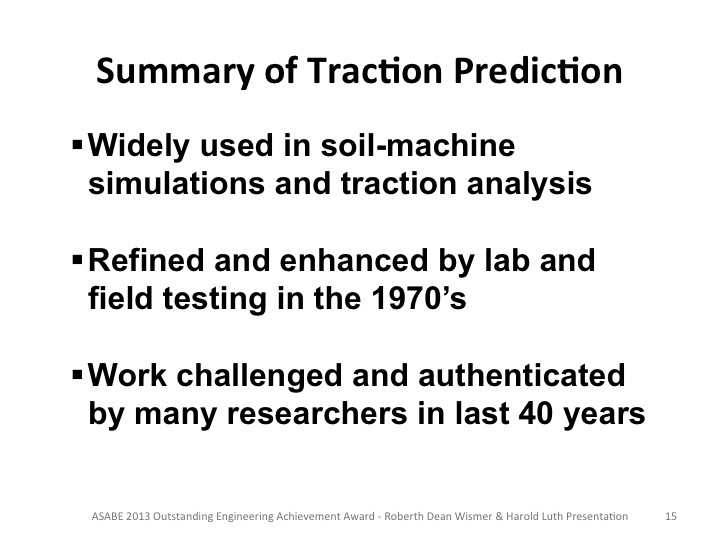 Their pioneering work in soil dynamics and traction prediction has been widely recognized in both the academic and industrial communities. 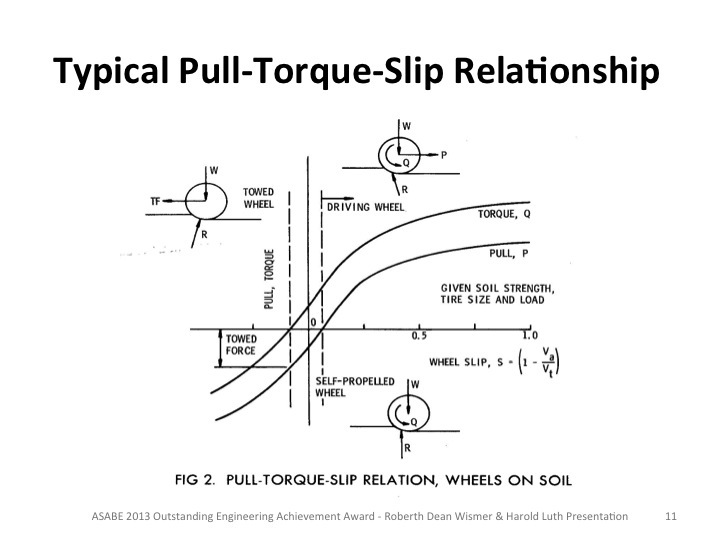 Bob is a retired Deere & Company Vice President of Engineering while Harold retired as a Principal Engineer for John Deere Global Vehicle Communications. Robert Dean Wismer, 77, of Moline, died peacefully Monday, Oct. 6, 2014, at his home after a year-long battle with lung cancer. He was surrounded by his family. Funeral services will be held at 10 a.m. Monday, Oct. 13, at Rafferty Funeral Home, 2111 1st Street A, Moline. Visitation will be from 1 to 4 p.m. Sunday at Rafferty Funeral Home. Burial will be in Moline Memorial Park Cemetery. In lieu of flowers memorials can be made to either Genesis Hospice, memo line: Wismer Memorial Hospice. Genesis Foundation, 1227 East Rusholme St., Davenport, Iowa 52803, > 563-421-6865 > or Vintage Sports Car Drivers Association, PO Box 68003, Grand Rapids, MI 49516-8003. Bob was born August 17, 1937 in Lewistown, Pennsylvania, son of Amos Harold Wismer and Margery May (Hanawalt) Wismer. He married Eileen Anne O’Dell June 5, 1956. Bob received engineering degrees from Penn State and Cornell Universities. He was an active member of several technical organizations including the Society of Automotive Engineers, American Society of Agricultural and Biological Engineers and the International Society for Terrain Vehicle Systems, holding national and international offices in several. Upon receiving his Master of Science in Engineering from Cornell University, he joined the US Army Corps of Engineers Waterways Experiment Station in Vicksburg, Mississippi, as a research engineer, later joining Deere & Company as the leader of the new soil dynamics laboratory. 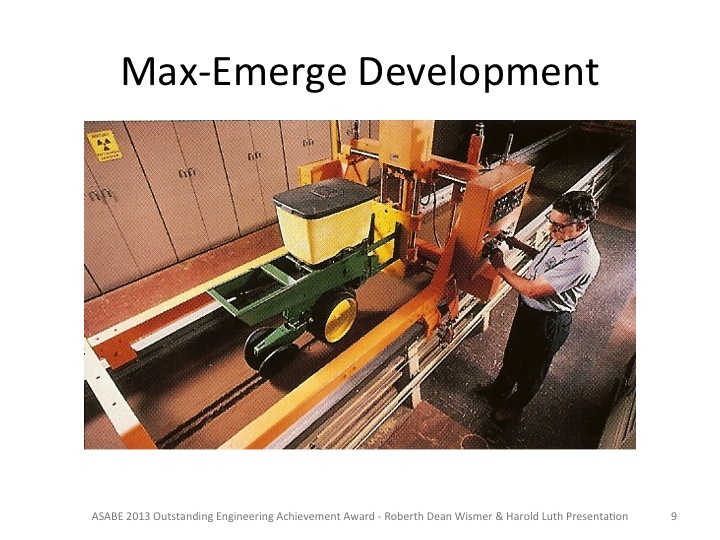 At Deere he contributed to numerous new product development programs including the MaxEmerge Planter and Deere’s wheeled traction prediction equations. He continued to hold management positions of increasing engineering responsibility, retiring as Vice President of Engineering in 1999. Bob was an avid vintage sports car racer. After years of family trips to Elkhart Lake’s Road America he started to race his own car in the 1980s. Up until his final race in July 2013 he raced his Triumph TR3, Triumph TR4, Tornado Thunderbolt, Tornado Talisman and Lola S2000 race cars at almost every major road racing circuit east of the Mississippi. Some of his favorite tracks included Road America, Watkins Glen, and Sebring. He also served on the Board of Directors and as President of the Vintage Sports Car Drivers Association (VSCDA). Please share your memories of working with Bob with your ISTVS friends and colleagues.